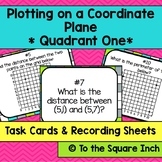 Students can use Powerpoint to plot points on a coordinate grid. The dots are include on each slide. They merely have to drag them to the coordinate where they belong, then make lines to connect them. I have included the answer key as well. Happy Plotting. This is an abstract drawing to see if students can plot polygons on a coordinate plane. Hint: if the shapes intersect, then your students need will need extra help determining the correct way to plot coordinates in 4 quadrants. Plotting Coordinate Points -Graphiti - Skull Trooper - The Fun Way! 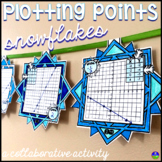 Plotting Coordinate Points - Maleficent Graphiti - The Fun Way! 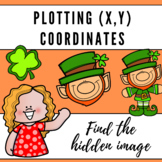 Students will solve orders of operations problems to find the x coordinate and y coordinate to plot on the treasure map grid. Students will document trail as they plot their points. 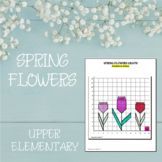 You could use this activity as a cut and paste activity also. 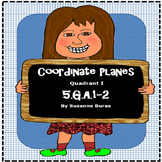 Plotting Coordinate Points, 6 Graphiti Bundle - Fun Way to Learn!